A bit of sparkle!, originally uploaded by Margaret Clift McNulty. I love this image - it captures so much personality and mischief. It was shot in natural light on my beloved 17-55mm 2.8 lens. 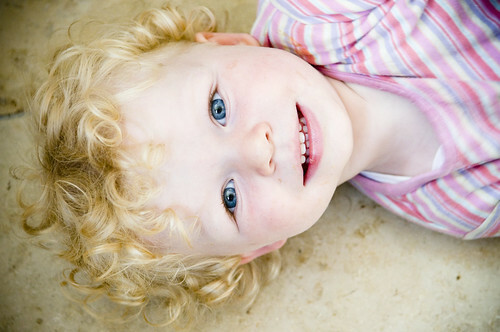 I shot this spontaneous portrait at f4 to retain the detail of Cora's golden curls.